Australian made from natural beeswax, this Clear Furniture Wax is easy to use, leaves behind no residue, and is specially formulated to protect and seal a wide range of wooden furniture. 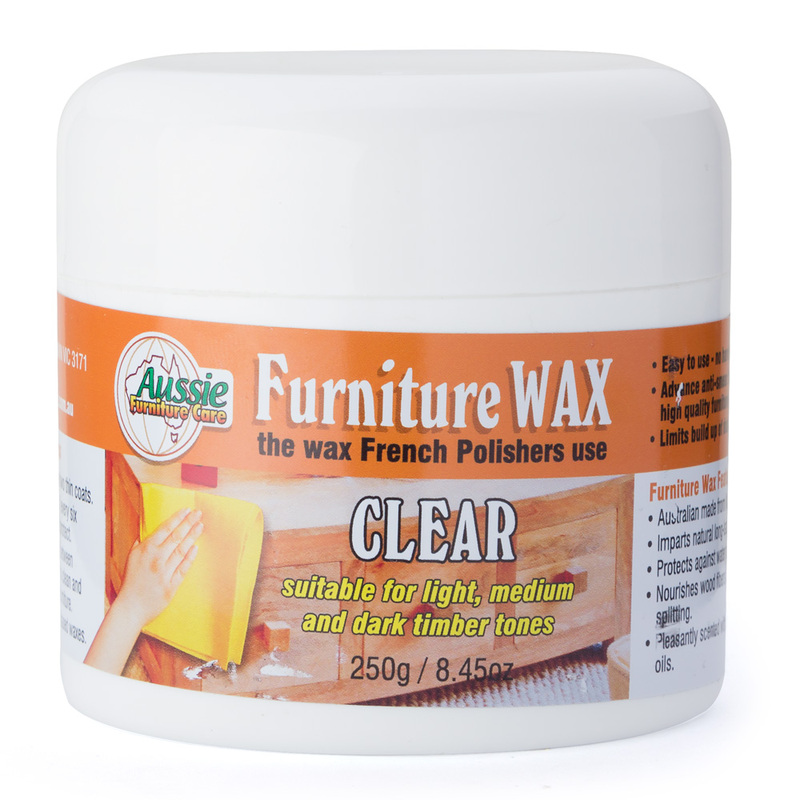 Imparting a lovely natural and long-lasting shine, it’s just the tender love and care that your furniture deserves. Suitable for dark, medium or light toned timber/wood.